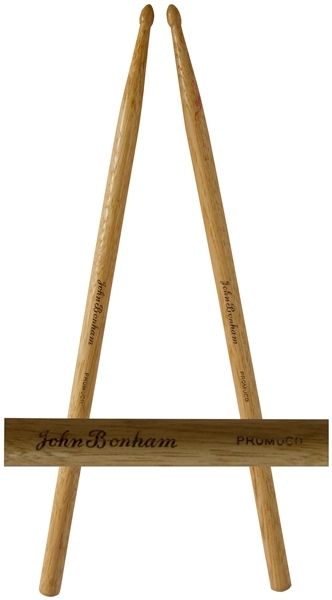 Rare set of custom-made drum sticks used by John Bonham circa 1975 at the height of Led Zeppelin's fame. Maple wood drum sticks have ''John Bonham'' elegantly embossed on each stick, along with ''PROMUCO'', the company commissioned by custom drum builder Eddie Ryan, who Bonham hired to design and make the sticks. 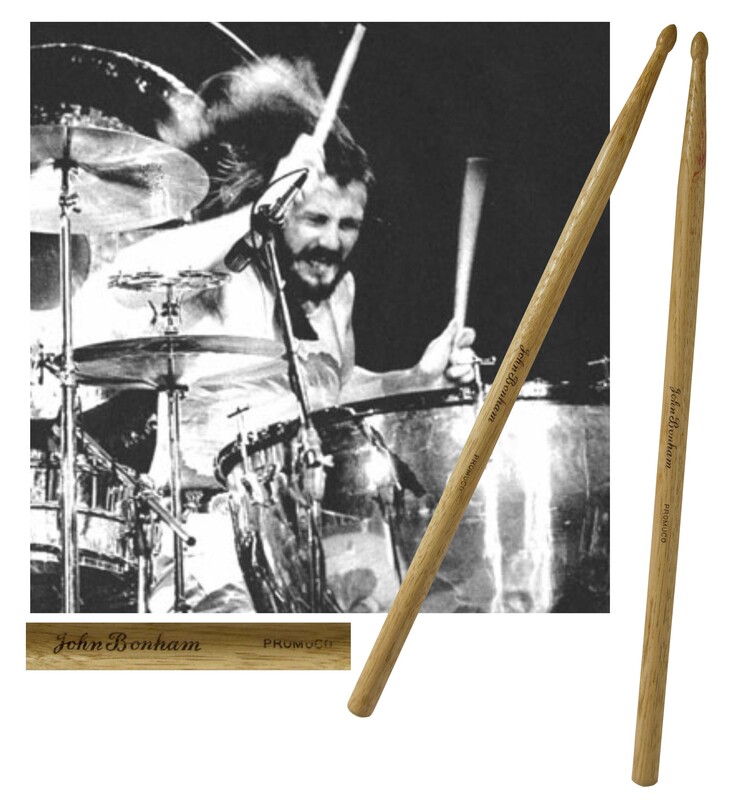 Drum sticks measure 16'' long and .625'' in diameter at the ends. Some red coloring near tops and light wear from use, otherwise near fine condition. A fantastic set from one of the most iconic drummers in rock history.